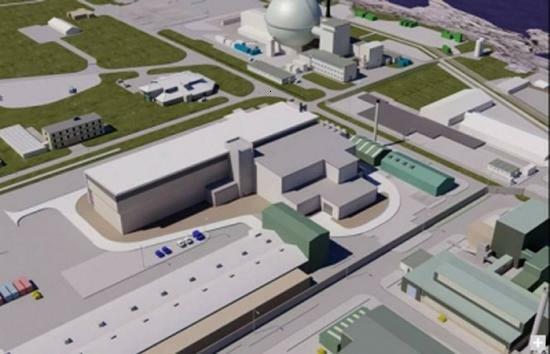 Dounreay Site Restoration Ltd has received planning consent for two of the biggest construction projects needed to complete the site clean-up. The new facilities will look after low and intermediate-level radioactive waste from the remainder of the site closure programme. With a combined value in excess of �300 million and a capacity for almost 200,000 cubic metres of waste, they will be the largest facilities ever built in Scotland for managing radioactive waste. "The planning consents keep our clean-up programme on course for completion in 2025," said Tony Trayner, head of construction at DSRL. "An essential element of any decommissioning project is being able to deal with the radioactive waste that it generates and these new facilities will give us that capacity through to the end of our programme." Solid and liquid intermediate-level radioactive waste will be processed in a new treatment plant known as D3900, where it will be mixed with cement and set inside drums and crates. Once set, the containers will be moved to an adjoining storage area where they will be held securely pending a Scottish policy for the long-term management of this type of waste. Highland Council granted outline consent for the new facility in January 2007. Detailed plans were lodged with the local authority in February 2009 and conditional approval has now been received. Construction is scheduled for 2010-13. Low-level radioactive waste from the site decommissioning is being stockpiled until a route is opened for its disposal. Following public consultation on the options, the site chose an area of land adjacent to Dounreay for a series of disposal vaults and applied for planning permission in 2006. The application was approved by Highland Council in January 2009 and forwarded to the Scottish Government for consideration. Ministers decided not to call in the application but asked the local planning authority to include an extra condition about the establishment of a community benefit fund. The council endorsed this last month and DSRL has now received formal notification that consent has been granted. Construction of the disposal site is due to begin in 2011, with the first of the vaults ready to receive waste in 2014. When Britain's experiment with fast reactors has been cleared in 2025, the vaults will be sealed and the surface restored. "The low-level waste application in particular broke new ground in terms of planning process, scientific assessment, political tests, regulatory practice and, not least, some demanding stakeholder and community issues," said Ron Crawford, planning manager at DSRL. "DSRL recognises the professional way these applications have been handled by the planning authority and looks forward to continuing to work closely with the council to satisfy the conditions attached to the approvals."